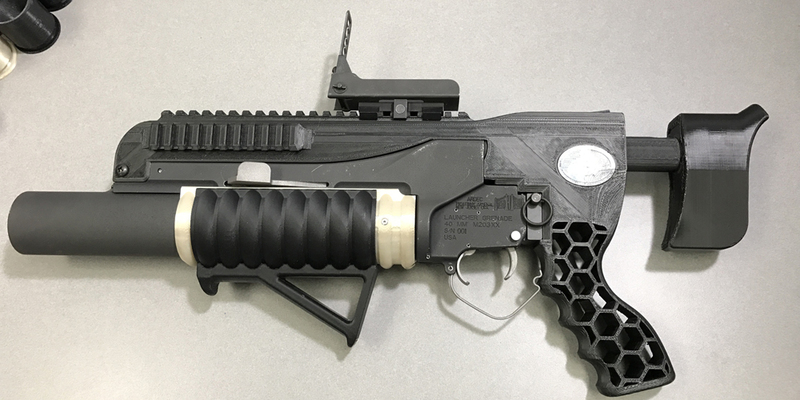 A first for ARDEC: Researchers fire 3-D printed ammo out of a 3-D printed grenade launcher. 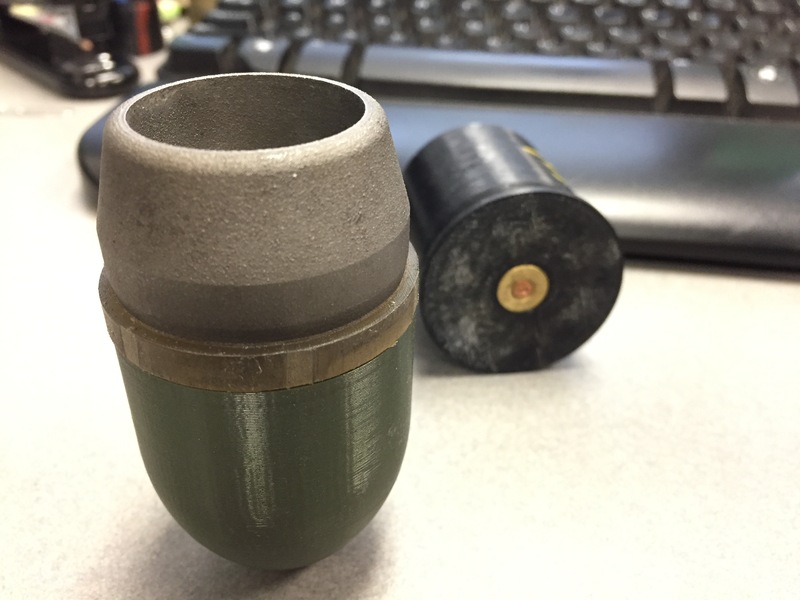 Researchers at the U.S. Army Armament Research, Development and Engineering Center (ARDEC) successfully fired the first grenade created with a 3-D printer from a grenade launcher that was produced the same way. This demonstration shows that additive manufacturing (commonly known as 3-D printing) has a potential future in weapon prototype development, which could allow engineers to provide munitions to Soldiers more quickly. 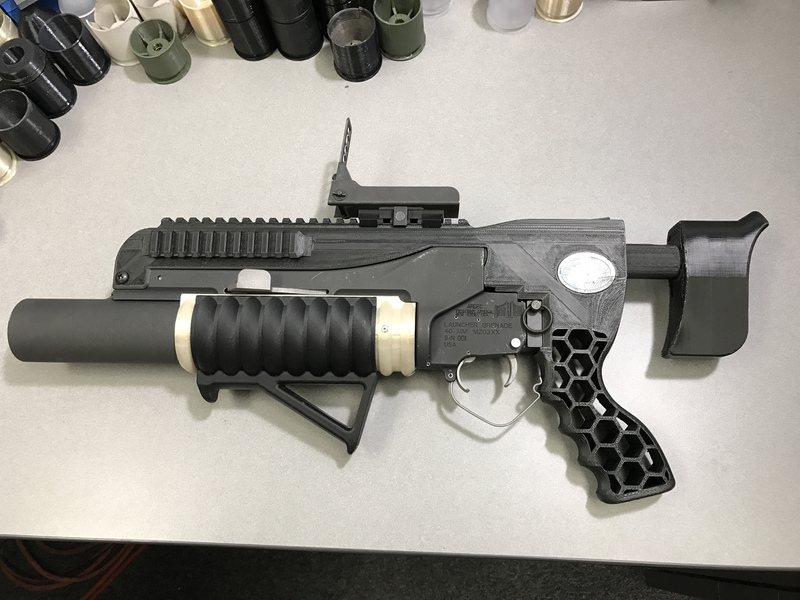 The printed grenade launcher, named RAMBO (Rapid Additively Manufactured Ballistics Ordnance), was the culmination of six months of collaborative effort by the U.S. Army Research, Development and Engineering Command (RDECOM), the U.S. Army Manufacturing Technology (ManTech) Program and America Makes, the national accelerator for additive manufacturing and 3-D printing. RAMBO is a tangible testament to the utility and maturation of additive manufacturing. It epitomizes a new era of rapidly developed, testable prototypes that will accelerate the rate at which researchers’ advancements are incorporated into fieldable weapons that further enable our warfighters. Additive manufacturing (AM) is an enabling technology that builds successive layers of materials to create a three-dimensional object. Every component in the M203A1 grenade launcher, except springs and fasteners, was produced using AM techniques and processes. The barrel and receiver were fabricated in aluminum using a direct metal laser sintering (DMLS) process. This process uses high-powered precision lasers to heat the particles of powder below their melting point, essentially welding the fine metal powder layer by layer until a finished object is formed. 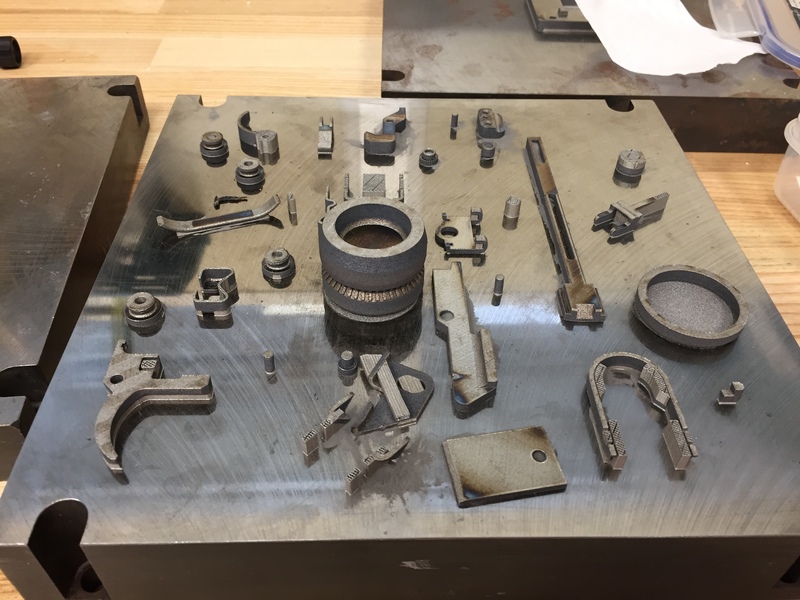 Other components, like the trigger and firing pin, were printed in 4340 alloy steel, which matches the material of the traditional production parts. AS SIMPLE AS PRINT AND DONE? The first approach was to print the projectile body in aluminum as an alternative material. The problem with that approach is that aluminum is less dense than zinc; therefore, when fired, the projectile achieves higher speeds than system design specifications call for. Interestingly, even though the barrel and projectile body were printed from the same aluminum material, because the printed barrel was hard-coat anodized, it allowed for proper rifling engagement with the softer untreated printed aluminum projectile body. The second approach was to print the projectile body in steel, which better meets the weight requirements, and then mold a urethane obturating ring onto it. The obturating ring is required to ensure proper engagement and rifling in the aluminum barrel. We couldn’t keep the obturating ring as steel, like we did with the first approach, because steel is a lot harder than aluminum, and even with the hard-coat anodization it would have destroyed the grenade launcher’s barrel. So for this approach, the projectile body’s design was modified to take advantage of design for AM. The original projectile body designs did not consider AM fabrication and processing. For this AM technology demonstrator, the design was modified to take advantage of AM design rules to reduce the amount of post-machining required. 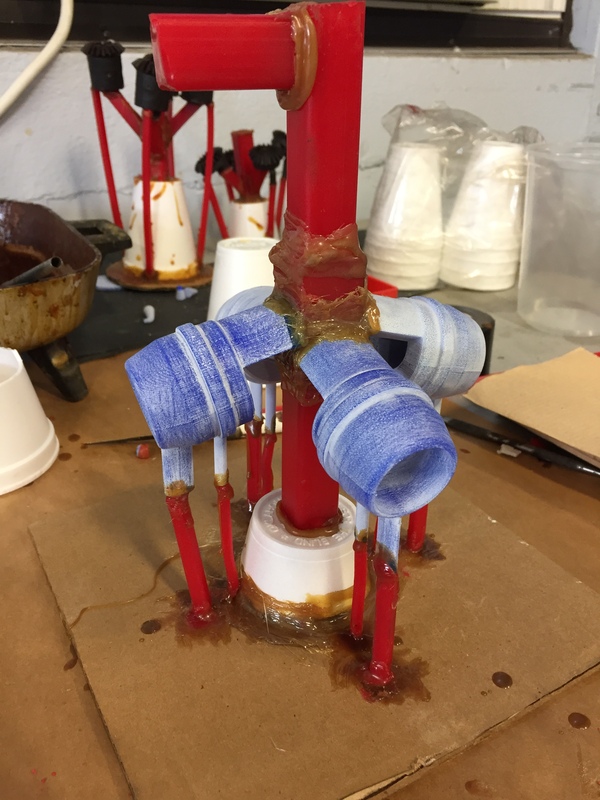 This approach also used 3-D printing to fabricate a “negative” mold and then create a silicone positive mold to produce an obturating ring onto the printed munition bodies. ARDEC researchers used modeling and simulation throughout the project to verify whether the printed materials would have sufficient structural integrity to function properly. Live-fire testing was used to further validate the designs and fabrication. 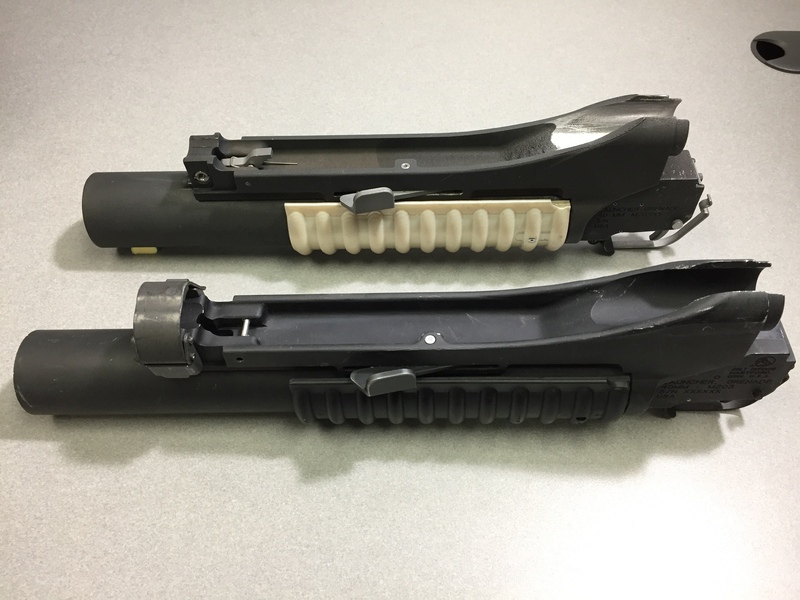 The printed grenade launcher and printed training rounds were live-fire tested for the first time on Oct. 12, 2016, at the Armament Technology Facility at Picatinny Arsenal, New Jersey. Testing included live firing at indoor ranges and outdoor test facilities. The system was remotely fired for safety reasons, and the tests were filmed on high-speed video. The testing included 15 test shots with no signs of degradation. All the printed rounds were successfully fired, and the printed launcher performed as expected. There was no wear from the barrel, all the systems held together and the rounds met muzzle velocities within 5 percent of a production M781 fired from a production-grade grenade launcher. The variation in velocities were a result of the cartridge case cracking, and the issue was quickly rectified with a slight design change and additional 3-D printing. This demonstrates a major advantage using AM, since the design was modified and quickly fabricated without the need for new tooling and manufacturing modifications that conventional production would require. More in-depth analysis of material properties and certification is underway. The RAMBO system and associated components and rounds are undergoing further testing to evaluate reliability, survivability, failure rates and mechanisms. 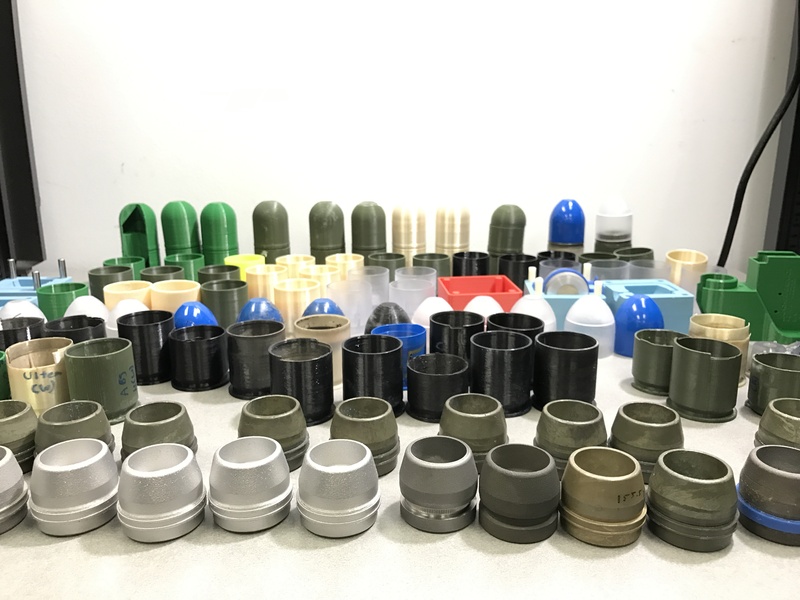 The 40 mm AM-produced grenade launcher and components were a highlighted project at the 2016 Defense Manufacturing Conference. Although there are still many challenges to be addressed before Armywide adoption of AM, demonstrations like this one show the technology’s advances. Successfully firing an AM-produced weapon system validates AM maturation and applicability in armament production. By using AM, researchers and developers will be able to build and test their prototypes in a matter of days rather than months. Designs and parts previously unachievable can now be realized. Complex designs that lighten, simplify and optimize armaments are now feasible and manufacturable. 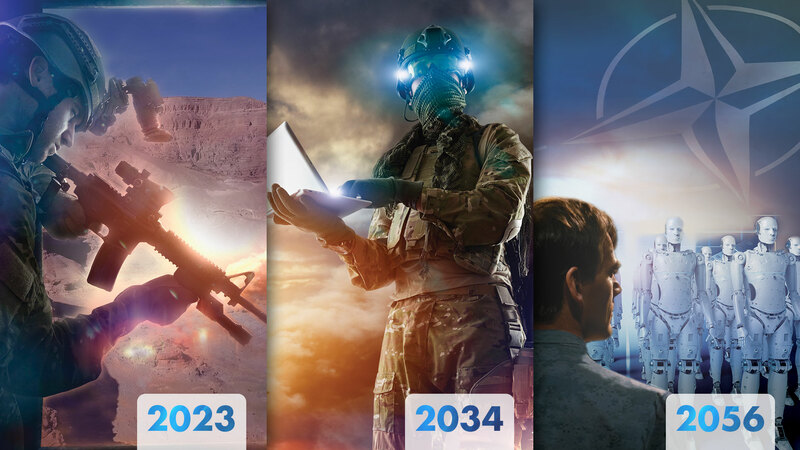 These advancements will improve products and facilitate faster and more efficient transition from the labs to the field, further enabling our warfighters. For more information, contact the authors at seungkook.k.burns.civ@mail.mil or james.l.zunino.civ@mail.mil. MR. SEUNG KOOK “SUNNY” BURNS is a prototyping engineer for ARDEC at Picatinny Arsenal. He holds a master of engineering degree in mechanical engineering and a bachelor of engineering degree from Stevens Institute of Technology. He is the ARDEC project officer for the Additive Manufacturing of 40 mm Grenade, Launcher and Components. MR. JAMES ZUNINO is a materials engineer for ARDEC at Picatinny Arsenal. He is a leading subject matter expert for AM and co-chair of the Army AM Community of Practice. He holds an MBA and a B.S. in chemical engineering from the New Jersey Institute of Technology.